We are pleased to announce the latest version of 3DS Project Manager. This update includes several improvements and bug fixes, including enhanced merge features. With frequent updates, we strive to make our Project Manager plugin the best asset in your 3DS toolbox. Enhanced placement capabilities for merged objects — including placement on selected objects, all scene objects, or home grid. Merged object placement can also be done using 2 different modes: By Mouse Click or by using 3DS Max Paint Settings. Mouse Click mode contains a “Smart Align” feature that helps with even object placement in interiors, such as snapping paintings/sconces onto walls and chandeliers onto ceilings. 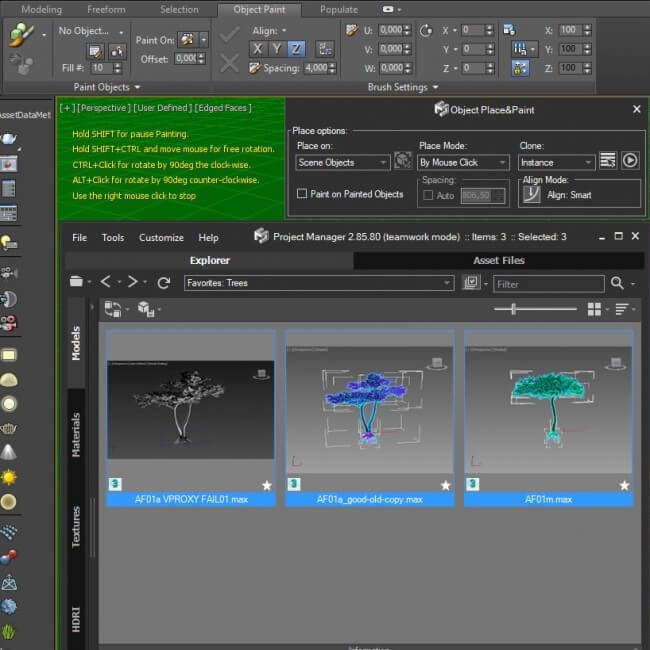 On the other hand, 3DS Max Paint Settings Mode allows users to “paint” objects into the scene, using selections or by freehand. 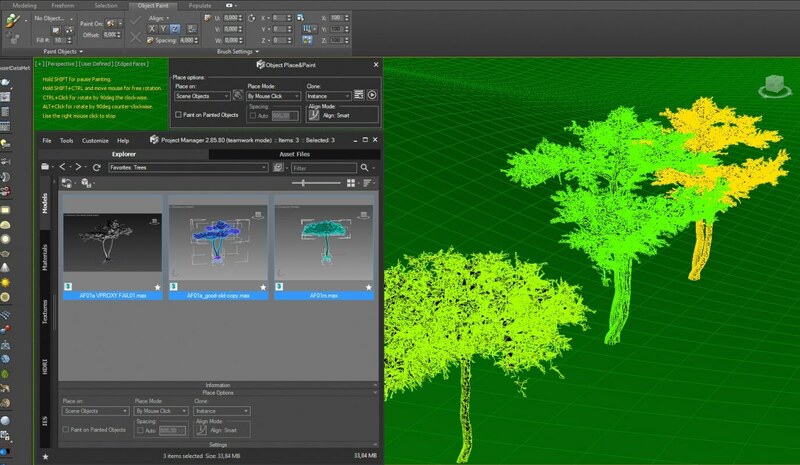 This allows for easy copying of objects needed en masse, such as trees, grass, and stones for exterior landscape scenes. The Paint Settings Mode, based on standard feature of 3Ds Max known as “Paint Objects”. 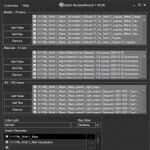 Also the new version supports for new version of Final Render trueHybrid – creation of Proxy, IES lights and materials what are compatible with the Final Render trueHybrid. With this major release, finalRender is at the cusp of new rendering technology towards an even more powerful version. Related to "Project Manager version 2.83.52"